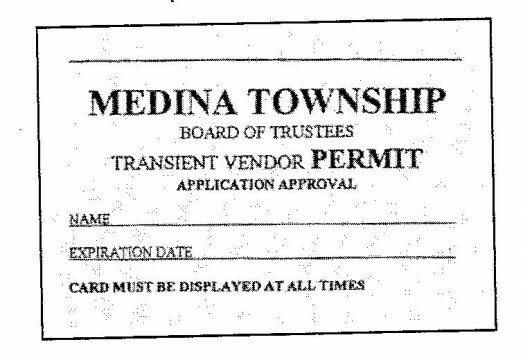 Medina Township’s Transient Vendor Resolution requires that vendors going door-to-door must first register with the Medina Township Town Hall and must work within the hours shown below. 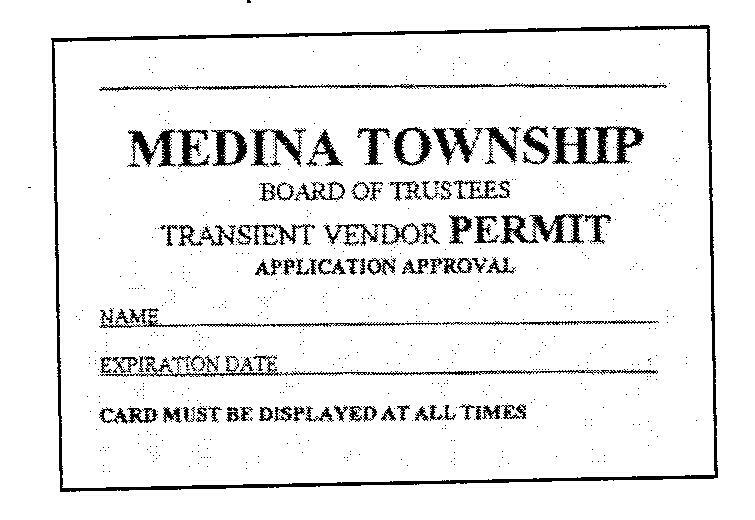 Please report to the Township Police (330-723-1408) vendors who have not registered (approved Transient Vendors will have an ID Badge, shown below, which is to be worn in plain view) or who are selling at a time other than permitted by this resolution. If you wish to register for your permit, you must have two passport-size photo ID’s and a valid driver’s license. Cost is $25.